Update: In December 2018, Abbas was granted a conditional release. 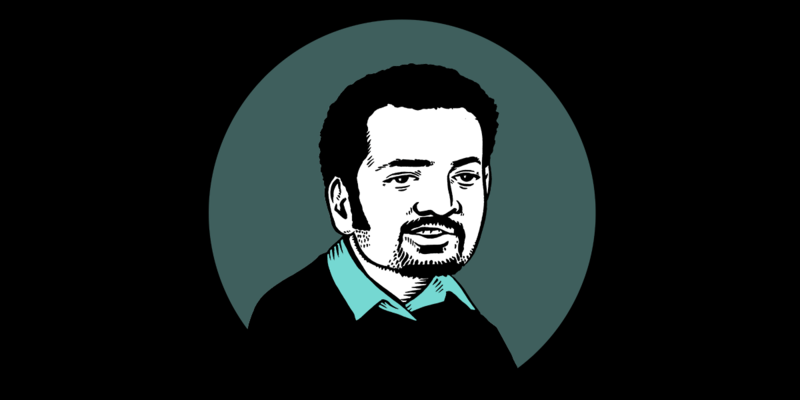 Wael Abbas is an Egyptian blogger, award-winning journalist, and human rights activist who is known for his work exposing police brutality and other abuses in Egypt. In the early hours of May 23, 2018, he was blindfolded and taken by police from his home to state security, where he faced questioning. He was then ordered by prosecutors to be held for fifteen days on accusations including disseminating false news, involvement with a terrorist group, and misuse of social media. Abbas' detention has been continuously extended since May, most recently on September 4. Though it is unclear what triggered Abbas’ arrest, he has faced harassment from the Egyptian government, as well as censorship at the hands of corporate platforms for his online activities. In 2007, his YouTube account—where he had been posting videos of police brutality in Egypt—was removed without warning. Around the same time, Abbas’ Yahoo mail account was deleted on the grounds that he was spamming other users. Both accounts were later restored. In 2009, Abbas was sentenced to six months in prison and fined 500 Egyptian pounds on a charge of damaging an internet cable, a conviction that was later overturned by a Cairo appeals court. The following year, he was convicted on charges of “providing telecommunications service to the public without permission from authorities” and again sentenced to six months in prison and a 500 pound fine. In 2016, Abbas was among the targets of a phishing campaign believed to be conducted by the Egyptian authorities, uncovered by researchers at Citizen Lab and the Egyptian Initiative for Personal Rights (EIPR). More recently, Abbas’ Twitter account was permanently suspended without warning. He also faced off with Facebook over a 30-day suspension that was later overturned. Abbas’ arrest comes amidst a crackdown by Egyptian authorities on journalists and human rights activists. In early May, two prominent activists—Shady el-Ghazaly Harb and Haytham Mohamedeen—were arrested on an array of charges, including belonging to an outlawed group. A young comedian, Shady Abu Zaid, was arrested on charges that include spreading false news. And in late May, journalist and researcher Ismail Alexandrani was sentenced to ten years in prison by an Egyptian military court.